In November 2017, one of the oldest towns in South Africa hosted the inaugural Pura Soda Race2Stanford half iron distance triathlon with great success. 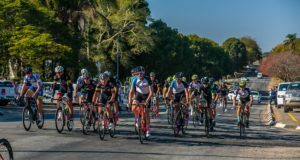 The inaugural race attracted elite local triathletes including Matt Trautman, Stuart Marais, JP Burger, World Multisport champion Robyn Owen, Kelly van der Toorn and Vicky Van der Merwe. On the 10th November 2018 Bravo, the Hermanus Whale crier, will sound off the second Pura Soda Race2Stanford. Athletes begin their challenging day out in paradise with a 1.9km swim in the new Harbour of Hermanus before making their way by bike, 90km through the magnificent Hemel en Aarde wine Valley, over Shaws Pass via Caledon to run 21.1km in the quaint & picturesque historic village of Stanford. This 70.3 mile distance triathlon will begin with 2 laps of chilly but stunning setting sea swimming before embarking on a brutally beautiful 90km point to point bike ride and topped off with 3 crowd inspired, scenic relatively flat 7km laps along the river and through the charming cottages and farm trails of Stanford. The finish will be celebrated in Stanford’s Olde English style village square. Families and supporters can explore the local art and antique stores and have the opportunity to run 1 lap of the run or enjoy a short historical tour walk in the morning before setting up picnics at the finish on the green or the banks of the peaceful forest lined banks of the majestic Klein River. There are also boat cruises serving the celebrated local wines along the river which boasts over 200 different bird species of which 30 are endemic to South Africa. The traditional farm style market on the village green will be the setting for the vibey bike-run transition and race finish line. Supporters & spectators will be served artisanal farm foods, cheeses, wines and craft beers. Make sure to try a G&P (Gin & Pura) also made with locally distilled Gin on the green or at the after party. The event supports community involvement with locally sourced marshals, music, infrastructure, food etc and we plan to ramp that up as we grow. The response from the community has been fantastic since we left the route cleaner than we found it and filled many bed nights & restaurants which too will grow as our field increases over time. After 2 years of planning, Cape Town’s first ocean swim half iron distance triathlon was a dream come true. 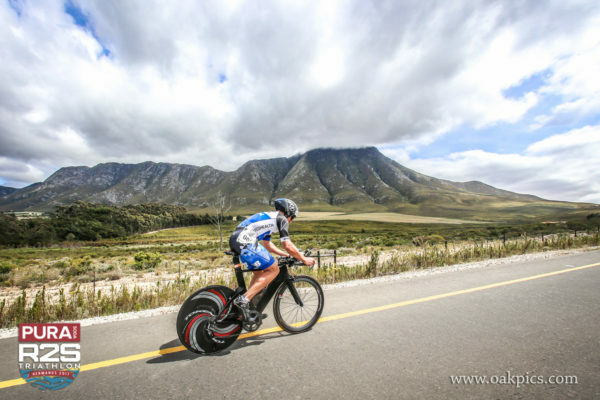 Once the road through the famed Hemel en Aarde had been tarred we realised we had a world class, custom fit course with equally beautiful, yet still very challenging & rewarding swim, bike and run legs. To have athletes of the calibre of Matt, Stu, Robyn, Gabriella and Kelly who have raced all around the world confirming that we’d unearthed a gem and that they loved it was enough for our event crew and partners to raise more than a few glasses of the Overberg’s finest. Price of entries are the best value on offer at only R1950 for an individual entry and R2350 for a relay team of 3. 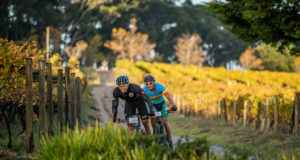 Visit www.electricink.co.za/race-2-stanford for full race details and entry portal.